One of the often-overlooked giants of geometric abstract painting in America, Smith was strongly influenced by the paintings of Piet Mondrian and the aesthetics of De Stijl. He brought a refined sensibility to Hard-Edge Minimalism while maintaining a strict adherence to the formal and rational in his art. The lasting influence of the art of the Native Americans that Smith grew up amongst in the Indian Territory of Oklahoma is evident in his approach to the use of geometry. In Correspondence Black Yellow (1963), core elements of Smith’s practice are visible. In the first instance, two planes of color meet in an irregular hard-edge, creating a bold unified image that can be perceived at once. 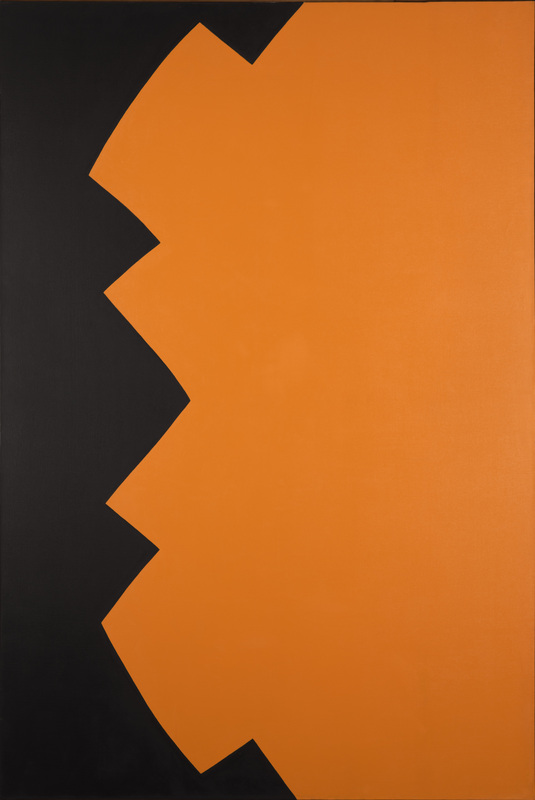 In addition, the choice of two contrasting colors is typical of Smith’s work, where color is the catalyst that activates the tension between the two planes. Finally, the resulting image prompts the sensation of looking at something from a very close range, a part of a larger shape, where the balance of the two colors against each other is evocative of a Ying Yang quality.